Most of us fantasize going on a cruise and experience the journey of a lifetime. However, booking cruise is not an easy task. Ushodaya Tours & Travels has made this task easier. 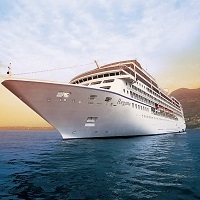 We provide cruise booking services all over the world. Now you can travel to anywhere in the world in the cruise easily and have a memorable experience. We are a company based in Visakhapatnam and has been serving since 2008 with the most brilliant services. We provide at much cheaper rates and there are no hidden charges.